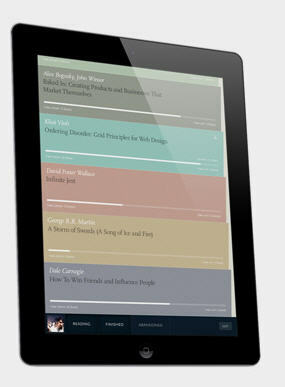 Readmill is an app which allows users to store ebooks in their cloud library for reading on their IPad or other device. Users can highlight favorite passages, share them with others, and follow fellow readers/friends. But now Readmill has gotten even better, so the company has released an all-new app featuring support for Adobe DRM, as well as PDF, formats offered by all the big publishers and major ebook stores. Now with readmill, ebooks in various formats, from various providers, can all be combined and read with one easy app. You can now read books from stores such as Google Play and Kobo – amongst others. Enjoy reading a lot of different books from a lot of different stores. Along with this release, the company has also announced brand new Send to Readmill partner stores where users can visit a store, select a book, pay and then send it right to their Readmill. It’s ready to read almost instantly. New stores include: Feedbooks, Ebookmall, Hacker Monthly, Lybrary, Ellibs, Efendi Books – bringing the total amount of Send To Readmill stores to almost 30. For the Readmill company blog, see: http://blog.readmill.com/post/33705764093/readmill-for-ipad-ready-for-any-book-in-the-world. For the company itself, see: http://readmill.com/. For previous coverage of Readmill, you can read – In The eBook Battle of Thermoplyae, Readmill is Poised To Battle The Kindle Horde.